Sarah Burton creative director of the Alexander McQueen label is Kate Middleton‘s wedding dress designer. The late McQueen’s 36-year-old protégée had previously been tipped for the most coveted fashion commission of the decade. 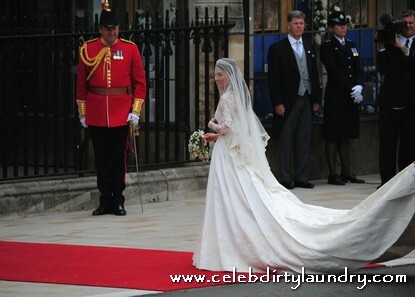 Kate wedding dress is an ivory gown with lace applique floral detail. Kate looks absolutely stunning, so happy and so radiant. 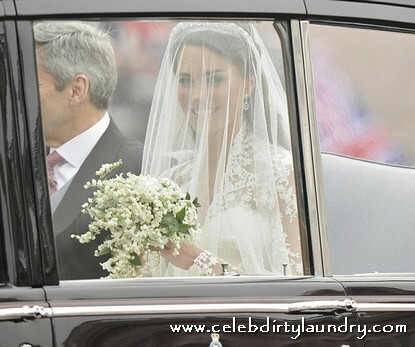 Kate arrived at Westminster Abbey, wearing a full veil and clutching a bunch of white flowers. Kate Middleton will leave behind her commoner roots to become Her Royal Highness the Duchess of Cambridge when she marries Prince William, Buckingham Palace announced today. 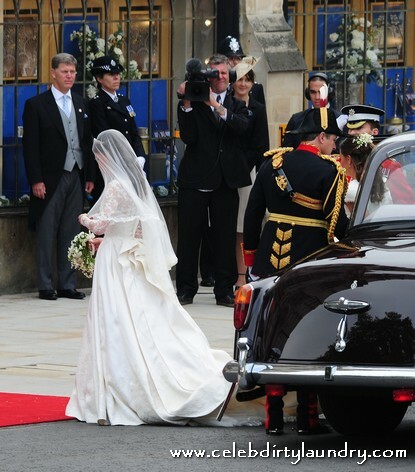 More photos of Kate on the way to the wedding and with Prince Williams at the Westminister Abbey are below. 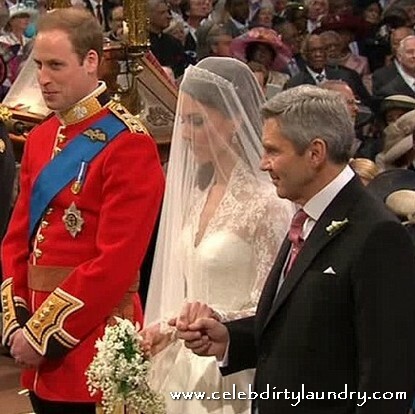 What do you think of Kate’s wedding dress – Celeb Dirty Laundry wants to know? 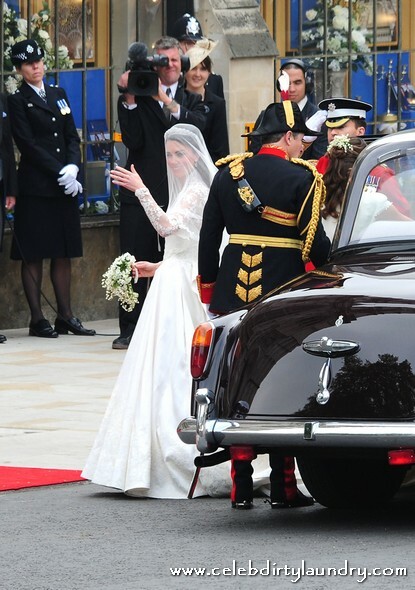 Kate Middleton, to be known officially as “Catherine,” arrives with father. Pippa Middleton arrives at Westminster Abbey with bridesmaids and pages. The Queen comes to Westminster Abbey for her Grandson’s wedding.